You can't declare 401(k) contributions on your taxes. 1. When Is a Good Time to Buy Shares in My 401(k) Plan? 2. Can I Shift After-Tax Funds From My 401(k) to a Roth IRA? A traditional 401(k) offers a way to reduce your taxable income now and save for retirement. However, you can't deduct the money on your tax return. Your 401(k) contributions were handled through your employer, which means any 401(k) tax deduction was taken on your paycheck by adjusting your taxable income. 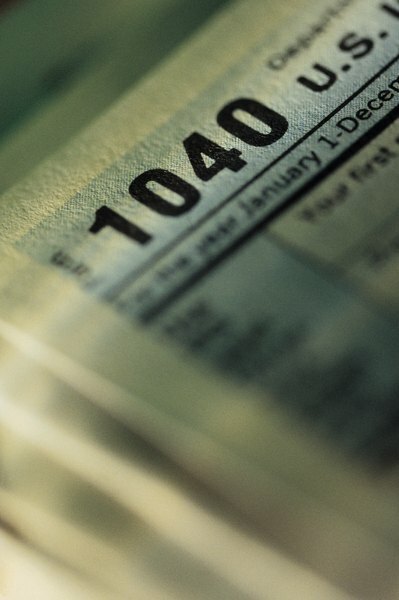 You can't claim your 401(k) as a deduction on your taxes. It can be confusing when you hear that contributing to a 401(k) will reduce your taxes now. That's still true for traditional 401(k) accounts. The contributions you make to those accounts will reduce your taxable income, which reduces the taxes taken out of your paycheck. At the end of the year, your taxable income, reduced by the amount contributed throughout the year, is reflected in your W-2 statement. If your company matches any of your contributions, that money isn't included in your taxable income for the year, either. The Internal Revenue Service sets a yearly limit on pretax 401(k) contributions. As of 2018, the limit is $18,500, or $24,500 if you are age 50 or over, including what are called catch-up contributions. These limits are the most you can reduce your taxable income by using a 401(k). They don't include employer contributions. There is no limit to the amount you can save in a Roth 401(k). In the future, when you are looking at your traditional 401(k) balance and figuring if you've saved enough for retirement, remember the taxman is waiting. When you start taking money out of your traditional 401(k) in the future, it will be taxed as income. The contributions from your employers and all of your investment earnings through the years will be, too. If as a single person you make less than $31,500 in adjusted gross income in 2018, or made less than $31,000 in 2017 - or as a married couple filing jointly you make twice that amount - you may be eligible for an additional retirement savings contribution credit, or "saver's credit," that gives you additional tax savings for contribution to an IRA, 401(k) or other retirement plans. You generally don't report 401(k) contributions as wages on your Form 1040, though they do get taxed for Social Security and Medicare purposes. While traditional 401(k) accounts take your contributions out of your pay before taxes, a Roth 401(k) uses after-tax dollars. Roth contributions come off your take-home pay after other deductions are made. This doesn't affect your taxes or taxable income. The top advantage of a Roth 401(k) is your contributions won't be taxed again. Roth 401(k) contributions taxed when you add them to the account are not taxed when you withdraw them in retirement, so this can be a good type of account if you anticipate being in a higher tax bracket when it's time to take withdrawals versus when you make contributions. A disadvantage is that employer contributions aren't allowed directly in a Roth 401(k). As of tax year 2018, the maximum 401(k) contribution per year is rising to $18,500, with an additional $6,000 allowed in catch-up contributions if you're 50 or older. People making up to $31,500 as a single filer, or up to $63,000 as a married couple filing jointly, are eligible for the saver's credit, which gradually decreases as a percentage as your income goes up to $31,500 or $63,000. In general, income tax brackets are going down for many taxpayers, which may mean that you save a little less on your taxes by contributing to a 401(k) than in previous years. For 2017, the maximum 401(k) contribution per year is $18,000, with an additional $6,000 in catch-up contributions allowed for people 50 and up. The saver's credit is available to single taxpayers making $31,000 or less or to married couples making $62,000 or less. Income tax rates in 2017 are generally higher across income brackets, so 401(k) contributions for that year can help more. CNNMoney: 401(k)s: What is a 401(k) plan?